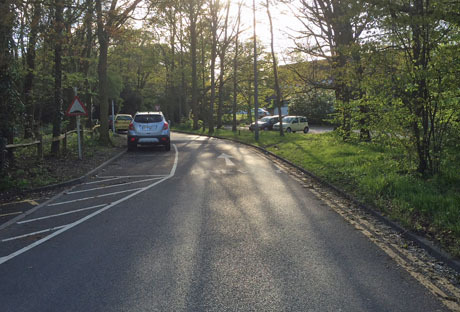 Wealden District Council have said extra car parking spaces could be created next to the Bluebell Wood in order to compensate for the loss of parking adjacent to the Crowborough Community Centre. In a statement published on the Council’s website today, Cllr Roy Galley, the Portfolio Holder for Economic Development, who has responsibility for the sale of the Pine Grove site, said it was “a practical way to meet the concerns of Crowborough Community Centre users, as opposed to seeking to pursue spurious legal arguments”. Crowborough Community Association have called a meeting next Wednesday (9th) to update residents about their legal challenges to Wealden District Council’s decision to allow Abbey Developments to build 68 houses and flats on the Mead House car park. When Crowborough Town Council purchased Wealden District Council’s former offices on Pine Grove to convert into an Enterprise Centre, they are negotiated an arrangement whereby the freehold of the Crowborough Community Centre and the freehold of the Bluebell Wood was also transferred to them. However the deal would only be finalised once the Mead House car park and Beaconwood site was sold off. 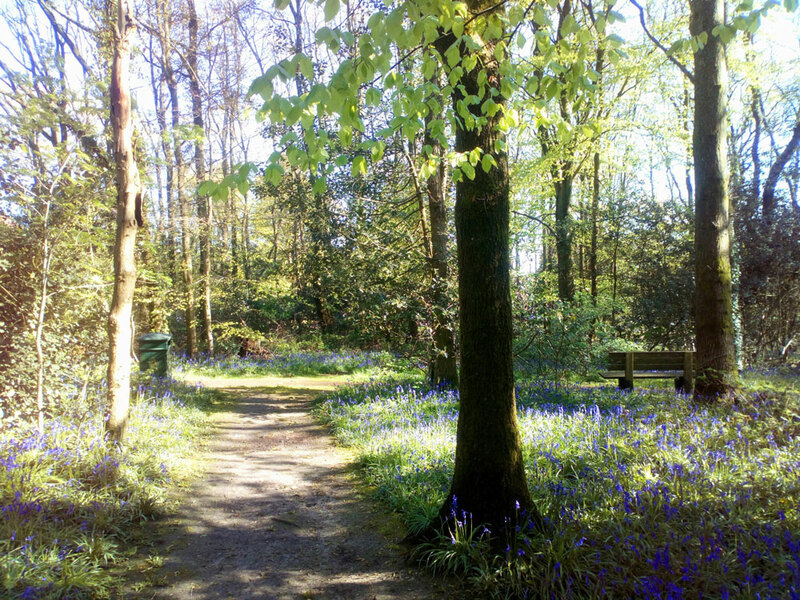 Wealden District Council have confirmed they will sell the Bluebell Wood to Crowborough Town Council for £1 once the sale of Council assets in the area has been completed. 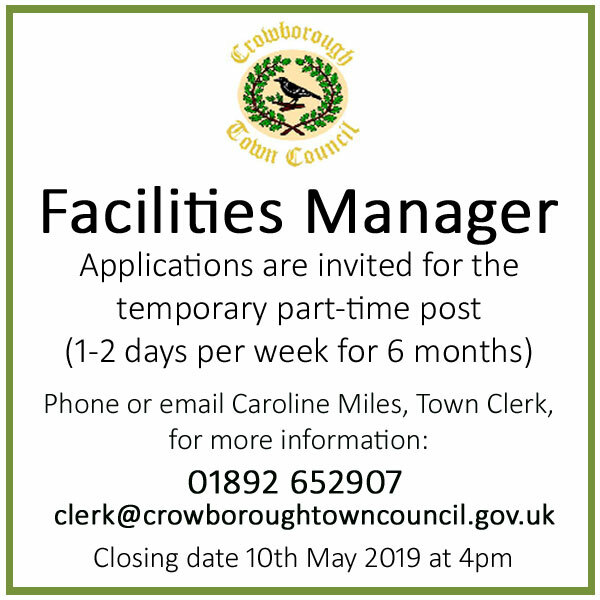 We have always supported Crowborough Community Centre, and provided it with a prime town centre location at a very favourable annual rent of £1. Crowborough town centre is well served by free car parking provided by Wealden District Council but we have noted the concerns of users of the Crowborough Community Centre, and those of visitors to the town, about the convenience of car parking space once the Mead House area has been redeveloped. Some time ago we explored the possibility of extending the Waitrose car parking area by adding up to 42 additional spaces to the Croft Road Car Park. This would be next to the recycling point opposite the Community Hall. 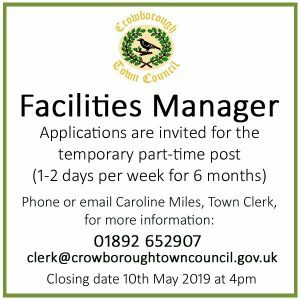 This is a practical way to meet the concerns of Crowborough Community Centre users, as opposed to seeking to pursue spurious legal arguments through the courts at great expense to the public purse. 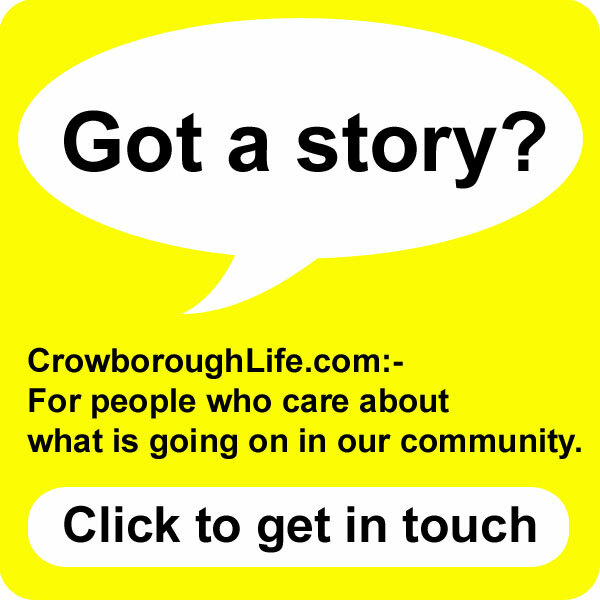 We hope Crowborough Community Association and its supporters will draw breath and see the sense of this proposal. We have already spoken to Waitrose and understand that they welcome this proposal. 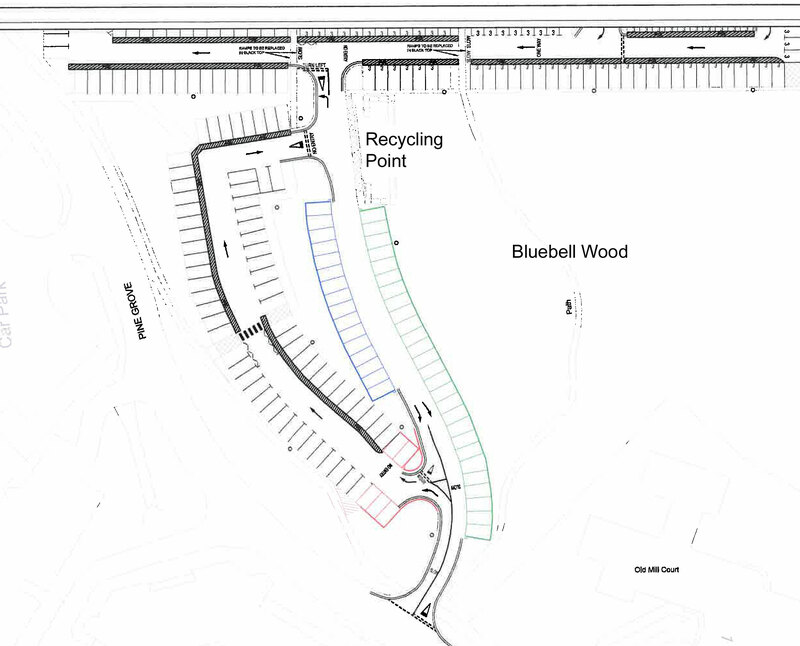 The reconfiguration of the Croft Road Car Park will extend a small distance in to the corresponding edge of Bluebell Wood but will continue to maintain its integrity. Crowborough Town Council will be discussing the proposal at the next Full Council meeting on the 22nd May. The CCA welcomes the fact that Wealden District Council is wishing to compromise and is showing an understanding about the loss of parking and the impact that would have on our community facility. We are not a ‘hall’ but a multi-roomed facility with a capacity of up to 550 people and with a licence to play music up to midnight. The offer does not resolve the issues of the need for a buffer zone to overcome the impact the activities in the Community Centre could have on the residents, nor the impact on the Centre when events are taking place which need a quiet environment. People just don’t realise how close the proposed houses and flats are to the Community Centre. Nor does it resolve the difficulty in running the Centre while the building works are going on, probably for two years, when the Centre will be subjected to noise, dust, dirt, water run-off, large vehicles rumbling past etc. 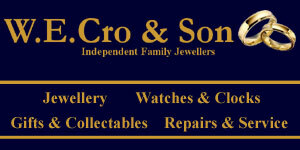 This is made worse, because the site shares the Crowborough Community Centre access off Pine Grove and will narrow it. Nor does it resolve the need for parking on the west side of Pine Grove which is home to the Community Centre, the Library and the soon to be opened Crowborough Enterprise Centre. The proposal replaces less than half of the 99 spaces lost by WDC’s grant of planning permission to Abbey. There is nothing spurious about any legal challenge. It is our duty to oppose a proposal that we believe is flawed and a planning process that was based on a still secret deal – the pre-sale contract – between Wealden and Abbey Developments. Several Freedom of Information requests to see this contract have been denied. It remains a fact that Wealden could have chosen to develop the Mead House site differently, providing up to 50 social homes and a replacement public car park that would also have served as the essential buffer zone to the Community Centre. The meeting will be held at the Community Centre on Wednesday 9th May, starting at 7.30pm. CrowboroughLife have asked Wealden District Council to publish the plan showing how the 42 extra spaces would be created and much encroachment there would be on the Bluebell Wood. Click below to read other related articles. Have Your Say: Do you think the Croft Road car park should be reconfigured in order to create more car parking spaces? Add your comments below or join the conversation on Facebook. Wealden District Council run the car parks. They believe they have parking wardens that monitor the length of stay. I suggest you contact them about your query: http://www.wealden.gov.uk/Wealden/Residents/Parking_Streets_and_Travel/Car_Parks/Assets_Car_Parking.aspx. A thief steals your iPhone X. He then offers you an old Nokia 3310 for half price. Is this good deal? Please discuss in connection with the proposed Mead House Beaconwood development.